Joe McElderry, Neil McDermott, Kate Robbins, Emily Tierney and Amelle Berrabah announced as cast for the show. 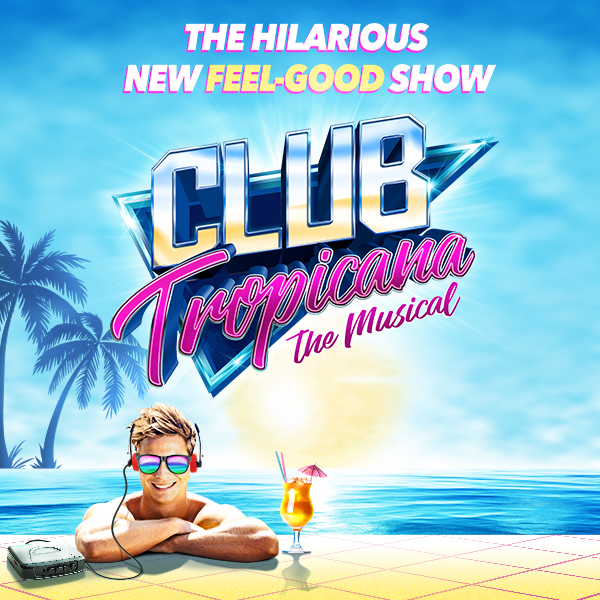 Star casting is announced today for the world premiere of Club Tropicana The Musical by Michael Gyngell, a summer adventure of love in the sun, with a soundtrack of smash-hit pop classics all performed live on stage. It takes a fun-packed trip back in time to the electric 80’s when hair was big, shoulders were padded, girls (and boys) just wanted to have fun and mobile phones were shaped like bricks and weighed a tonne! 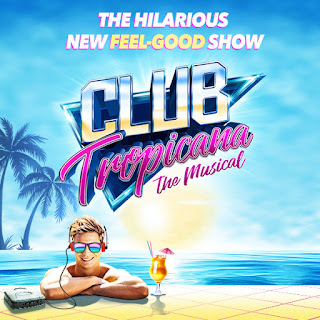 Welcome to the vibrant Club Tropicana Hotel - the 1980s answer to Love Island - where the drinks are free and the whole family is invited to join the ultimate holiday musical. When a budding bride and groom get cold feet, they each decide to jet off to sunnier climes and feel the heat - but little do they know they’ve checked into the same hotel...The sizzling summer season at the Club Tropicana sees drinks flowing and tans glowing. Will our young lovers decide to go through with the wedding? Will the hotel inspectors (finally) get their way and close the resort, or will the staff save the day? All will be revealed in hilarious style, to an irresistible soundtrack of some of the most iconic, chart-topping acts from the 80s, including ABC, Cyndi Lauper, Frankie Goes to Hollywood, a-ha, Culture Club, Kenny Rogers and Dolly Parton, Bucks Fizz and Depeche Mode: Girls Just Wanna Have Fun, Take On Me, Just Can’t Get Enough, Oops Upside Your Head, The Look of Love, Making Your Mind Up, Relax, Islands on the Stream, She Drives Me Crazy, Don’t Go, La Dolce Vita, Surprise, Surprise, Church of the Poison Mind, Fantasy Island, Up Where We Belong, I Could Be So Good for You, Fantastic Day and many more! The cast is headed by North East’s Joe McElderry (X Factor winner and star of Joseph and his Amazing Technicolor Dreamcoat), Neil McDermott (Ryan Malloy in EastEnders, Eugenius!, The Wind in the Willows, Shrek), Kate Robbins (Spitting Image, ITV’s The Imitation Game, Dinnerladies), Emily Tierney (Eugenius! , Wicked, The Wizard of Oz) and former Sugababe star Amelle Berrabah making her musical theatre debut. It is completed by Karina Hind, Calvin Hudson, Cellen Chugg Jones, Megan Louch, Rebecca Mendoza, Alexanda O’Reilly, Joshua Pearson, Rory Phelan, Nye Rees, Camilla Rowland, Christina Shand, Courtney-Brogan Smalley, Tara Verloop, Kane Verrall. Producers Mark Goucher and Gavin Kalin. Tickets available from the Box Office on High Street West, via the ticket centre 0844 871 3022* or online from our affiliates ATG Tickets: http://bit.ly/ClubTROPICANAtix *calls cost up to 7p per minute plus standard network charges. Booking and transaction fees may apply to telephone and online bookings.